Manchester United boss Jose Mourinho has reportedly accepted a one-year prison sentence as part of a plea bargain deal with prosecutors accusing him of a £2.9million (€3.3m) tax fraud. The Old Trafford manager has accepted a six-month jail sentence for each of the two financial crimes he was accused of after accepting wrongdoing as part of the agreement with prosecutors, respected Spanish newspaper El Mundo said on Tuesday. The investigating court in Madrid which has led the criminal probe into Mourinho — Pozuelo de Alarcon Court Number four — is expected to be informed about the deal in the coming days. El Mundo reported the 55-year-old, whose future at United has been called into question after a disappointing start to the season, had also agreed to pay a fine totalling £1.78m (€1.98m) representing 60 per cent of the amount defrauded. Prosecutors and court officials could not be reached early on Tuesday morning for comment. Mourinho's tax affairs were placed under new scrutiny last year. The allegations involved claims false information was given to Spain's Tax Agency during a 2015 probe, prompting prosecutors to reopen a case that had been archived after Mourinho paid a six-figure fine. 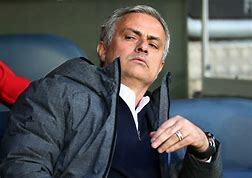 Mourinho was summonsed to court following revelations by the European Investigative Collaborations (EIC) Consortium which includes Spanish newspaper El Mundo, German newspaper Der Spiegel and the Sunday Times. The United manager played down any suggestion of wrongdoing after a brief behind-closed-doors hearing at Pozuelo de Alarcon Court of Investigation number four last November. He insisted he had left Spain four years earlier with the 'information and conviction his tax situation was perfectly legal' and regularised his situation a couple of years later after he was told to pay more cash following a tax probe. He told reporters: 'I answered, I didn't contest it, I paid and I signed an official agreement with the state under which everything was definitively closed. A court source confirmed after the hearing the criminal investigation would continue, revealing Mourinho had only answered the questions of his lawyer during his court quiz and not those of the other lawyers present including the state prosecutor. El Mundo reported earlier this year the United boss had reached an out-of-court settlement with Spanish prosecutors over his tax case, but details of the agreement were not revealed at the time. Former Real Madrid star Cristiano Ronaldo accepted a two-year prison sentence — also set to be suspended — earlier this summer after reaching a deal with prosecutors over his tax fraud case. He also agreed to pay a fine of more than £15m (€16.7m) after pleading guilty to evading £13.1 million (€14.7m) in tax on image rights between 2011 and 2014.